Gay singles and couples are looking for relaxation, fun and socializing which is why my 5 exotic picks for gay travelers this summer and fall are sure to hit the spot. While some international locations remain "hot" year after year, others are quickly forgotten. There are hundreds of exotic places to visit and at least that many gay travel agencies that specialize in providing travel services for members of the LGBT community. The main purpose of any gay vacation is to discover new places, relax, make new friends, dance the night away or re-discover yourself. Although specialized gay tours are more difficult to find when compared to typical tour operators, an increasing number of countries and tropical paradises welcome gay tourists. The primary aim of this post is to provide my top 5 gay and lesbian hideaways for the summer/fall season of 2013. This amazing city in Brazil is more than just the place where people can see the world-famous, enormous statue of Jesus called “Christ the Redeemer”. As a matter of fact, Rio is one of the most preferred gay travel destinations in the world. The unique beauty of Rio lies in its fabulous beaches, most of which are very popular with gay tourists. In addition, the city is renowned for its gay-only beach: Ipanema. The beach is part of the city's gay area, which happens to go by the same name. For gay travel groups that are looking for fun and continuous partying, complete with half-naked gay men everywhere, the Leblon district in Rio de Janeiro is the place to be. Although Rio continues to be highly popular among gay tourists, it’s not the ideal choice if a romantic and/or relaxing vacation is what you dream about. Orbitz Worldwide - a leading global online travel agency - recommends the 5 star Sofitel Rio de Janeiro Copacabana Hotel. Rates start at approximately $350 a night, but they vary greatly, depending on the type of room or suite that the guests choose. An important aspect is that the hotel does not offer any single rooms. As a consequence, a so-called single supplement is charged upon booking a room or a suite. Late August is the best time to visit Rio de Janeiro so contact a Vacation Side Travel Consultant soon if you want to experience all that Rio has to offer. These heavenly islands lure their visitors with spectacular sandy beaches and clear, turquoise waters. Year-round, the weather is almost perfect here; except for the early-fall hurricane season. However, this should not influence anyone's gay travel plans for 2013, especially since August and September are the best months for a trip to the Caribbean. Some of the beautiful islands are more gay-friendly than others. Although I’ve never experienced an issue, in general, gay people are not advised to travel to Barbados, Jamaica and the Cayman Islands, as these areas are known for their consistent history of homophobia, as the US Government warns us on http://travel.us.state.gov. Instead, the Dutch, French and US Caribbean Islands are open arms to gay tourists. 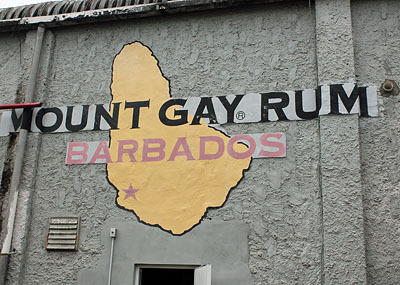 The island of St. Croix is, without any doubt whatsoever, the most gay-friendly island in the Caribbean. Gay travelers can enjoy all the major benefits of a major tourist destination, such as luxurious resorts, exclusive shopping areas and exquisite restaurants. On the other hand, St. Croix also offers the possibility of spending a relaxing and quiet time alone or with your loved one by the sea. 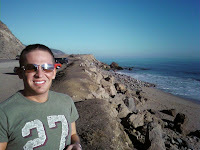 Gaytravel.com recommends the Sand Castle on the Beach Hotel, which is both gay owned and operated. Aside from 21 beautiful and spacious rooms, the hotel offers a beachfront, luxury villa. The rates for this unique villa start at $3071 for 5 days but often run specials offering VIP perks and extra amenities. From the very heart of Greece to the center of Turkey all while cruising on board a super luxury yacht. Zoom Vacations offers a unique cruise on the world's most expensive mega-yacht - the SeaDream. The yacht departs on September 13th 2013 from Athens and stops in some of the most beloved islands and ports of both Greece and Turkey. Some of the destinations include Kepez, Skiathos, Thassos, Kavala and Volos. The cruise addresses both gay’s traveling dutch as well as those hitched and coupled. With rates starting from $3999/person, you can bet the experience will be once in a lifetime. The fare includes all-inclusive luxury services and accommodation, as well as sail-boat and diving adventures. However, there are additional costs for singles, since most travel related products are quoted based on double occupancy. The good news comes from the fact that Zoom offers to pair single gay travelers up allowing you to travel cheaper while meeting someone knew. Although international and domestic airfare is not included in the price, Zoom vacations has negotiated 5% off with American Airlines for this particular cruise. Add to that the extra perks and surprises thrown in by Vacation Side Travel for super star treatment. This is the largest and most famous island in Thailand. The capital city of the country - Bangkok - is only a one-hour flight away. Phuket is known as one of the most gay-friendly places on the globe and its annual Gay Festival takes place twice a year - in February and November. Gay Times Magazine consistently ranks Phuket as a top gay hideaway. The island is famous for its gay nightlife, as Patong - the island's most popular resort town - has the only gathering of gay bars and clubs to the South of Bangkok. Travel Gay Asia recommends the La Flora hotel. This 5 star hotel is only a few minutes away from the gay section of the main beach in Patong. Rates start at approximately $1100 for a week's stay. Phuket is indeed a tropical paradise, with fantastic beaches and beautiful people. Japan has an ancient and quite sophisticated gay culture. 11th century diaries of nobles living at the emperor's court contain references to gay relationships. Tokyo houses more than 200 gay bars and clubs - a fact that makes it hard to believe that Japan nurtures an oppressive regime against gays and lesbians. Shinjuku Ni-Chome is Tokyo's gay district. In addition, Japanese gays are known for their decisiveness - once they like someone, they will act accordingly. LastMinute.com.au lists the Park Hyatt Tokyo hotel as the top choice for luxury gay travelers. Rates start at approximately $700 a night for a double room. To sum it all up, these are the top 5 gay and lesbian hideaways to visit this season. Most LGBT travelers are constantly looking for exotic destinations that raise the bar and harmonize with their lifestyles and interests. At the same time, gay tourists, whether singles or couples, need to know about gay-friendly vacation spots. 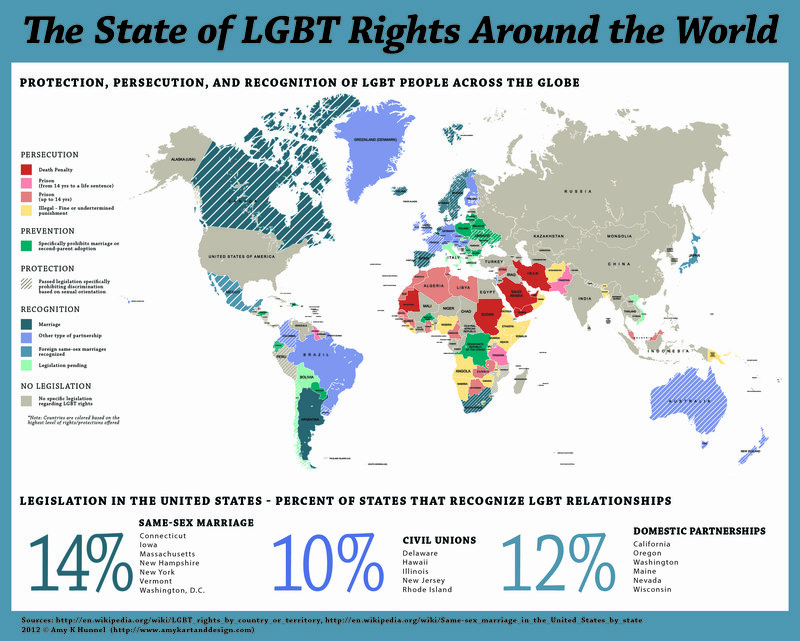 Sadly enough, there are still too many countries across the globe that do not provide equal human rights to gays and lesbians. I suggest all gay travelers to venture out and explore the world while also paying great attention to news releases and travel advisories prior to booking a gay cruise or trip. Your travel agent will also have this information readily available, be able to give first hand knowledge of many destinations as well as offer feedback and suggestion to make sure you have the best vacation of life while remaining safe and sound. Popular destinations for gay tourists, such as the above-mentioned getaways have the potential to offer the experience of a lifetime. So what are you waiting for? Be adventurous and start planning! Give me a call to discuss your dream!